Click on the necklaces for larger views! TIMESTREAMS DESIGN. 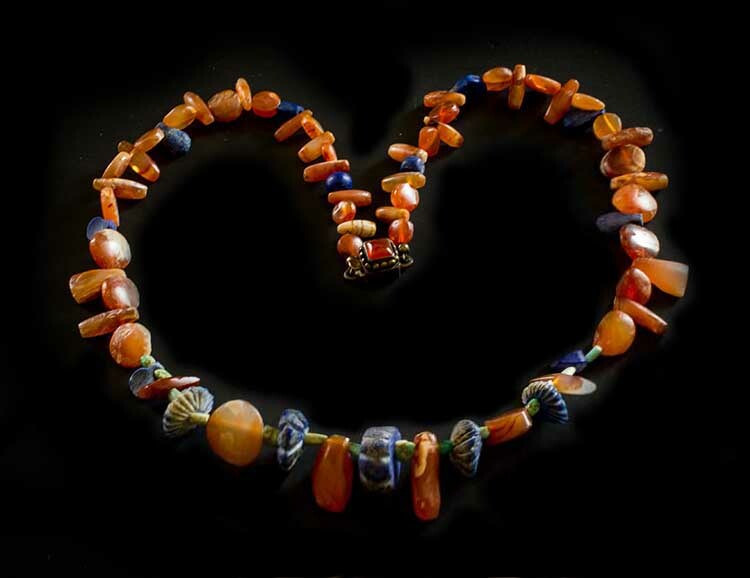 Beautiful necklace of ancient Roman, early Islamic carnelian stones and Bactrian lapis lazuli beads, circa 400 AD - 1400 AD sourced in Afghanistan from Mediterranean and Middle Eastern productions. Wonderfuful pieces of history. The necklace is 18.5 inches in length. $525. TIMESTREAMS DESIGN. Gorgeous long necklace of RARE antique Venetian beads from the late 1800's, early 1900's. 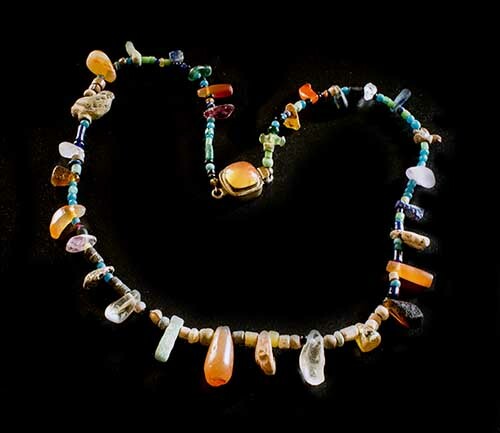 The beads were used in the African trade. 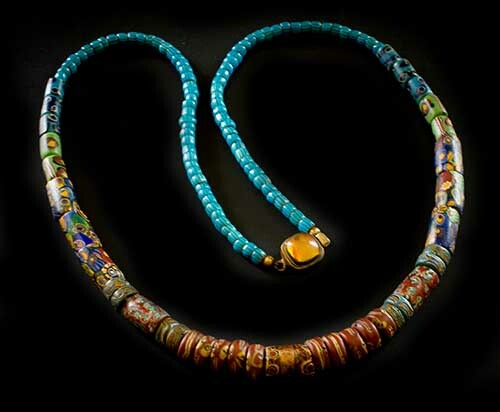 The necklace is approximately 26 inches in length. The necklace has a sterling silver clasp with a carnelian stone. $389. TIMESTREAMS DESIGN. 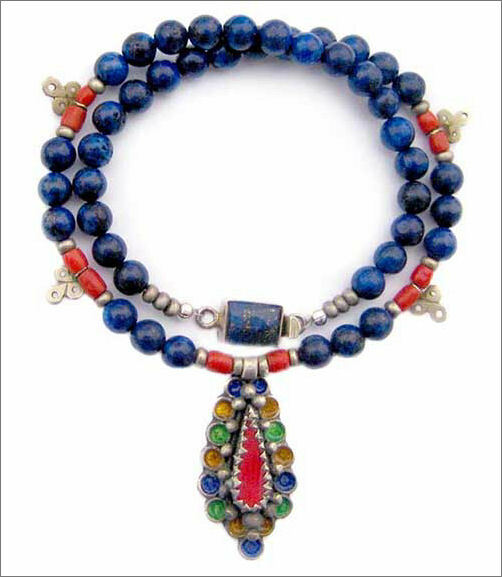 Beautiful necklace of lapis lazuli, silver and natural coral beads with a handcrafted sterling silver and lapis lazuli clasp. The handcrafted Kabyle Amazigh pendant is sterling silver and enamel. The necklace measures 16 inches in length. The lapis beads are 8 mm in diameter. $239. TIMESTREAMS DESIGN. 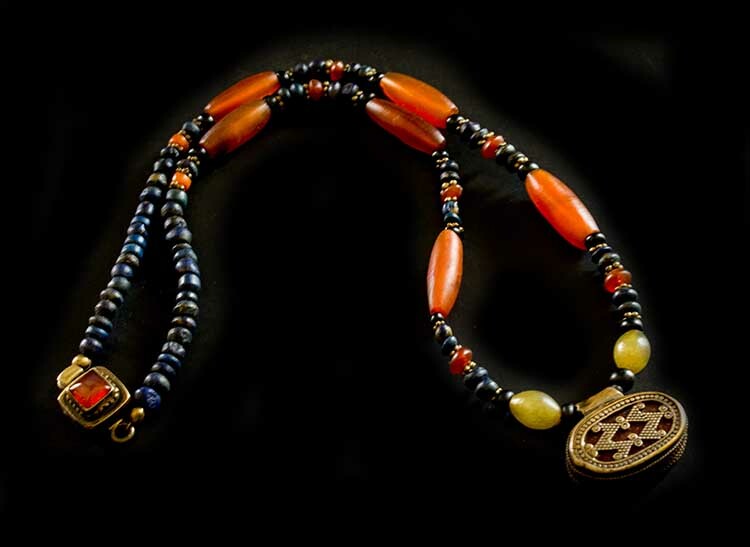 Beautiful necklace of lapis lazuli, garnets with Chinese enamel beads. 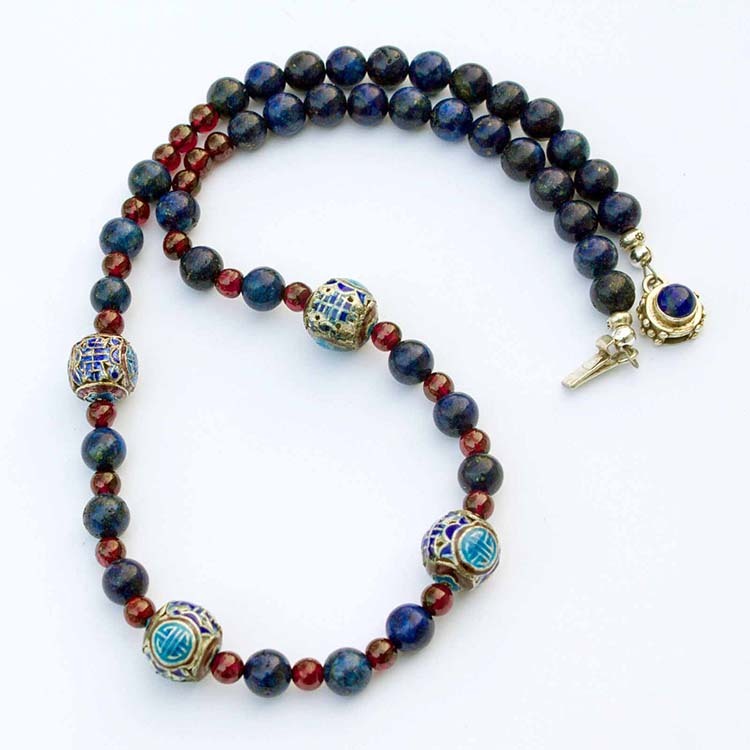 It has a handcrafted sterling silver clasp with a lapis lazuli stone. It measures 16 inches in length. $89.